The present publication provides guidance for the environmentally sound management (ESM) of wastes consisting of elemental mercury and wastes containing or contaminated with mercury. It was adopted by the tenth meeting of the Conference of the Parties to the Basel Convention on the Control of Transboundary Movements of Hazardous Wastes and their Disposal (decision BC-10/7) in October 2011. Mercury is recognized as a global hazardous pollutant. Mercury emissions and releases can be human-caused (anthropogenic) and may also come from natural sources. Once mercury is released into the environment, it persists in the atmosphere (mercury vapour), soil (ionic mercury) and aquatic phase (methylmercury (MeHg, or CH3Hg+)). Some mercury in the environment ends up in the food chain because of bioaccumulation and biomagnification and is eventually ingested by humans. Improper handling, collection, transportation or disposal of wastes consisting of elemental mercury and wastes containing or contaminated with mercury can lead to releases of mercury, as can some disposal technologies. Ensuring environmentally sound management (ESM), particularly of wastes consisting of elemental mercury and wastes containing mercury, will be a critical issue for most countries. The present general technical guidelines provide guidance for the environmentally sound management (ESM) of wastes consisting of, containing or contaminated with persistent organic pollutants (POPs), pursuant to decisions IV/17, V/26, VI/23, VII/13 and VIII/16 of the Conference of the Parties to the Basel Convention on the Control of Transboundary Movement of Hazardous Wastes and Their Disposal, I/4, II/10, III/8, IV/11 and V/12 of the Open-ended Working Group of the Basel Convention, resolution 5 of the Conference of Plenipotentiaries to the Stockholm Convention on Persistent Organic Pollutants, decisions INC-6/5 and INC-7/6 of the Intergovernmental Negotiating Committee for an International Legally Binding Instrument for Implementing Action on Certain Persistent Organic Pollutants and decisions SC-1/21and SC-2/6 of the Conference of the Parties to the Stockholm Convention. 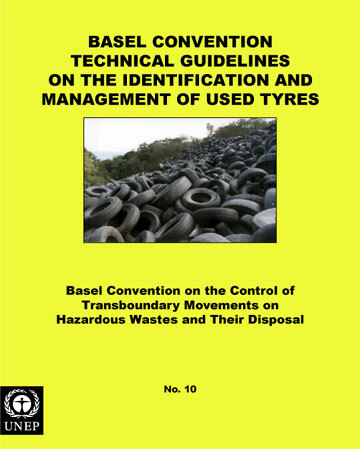 The present general technical guidelines provide guidance for the environmentally sound management (ESM) of wastes consisting of, containing or contaminated with persistent organic pollutants (POPs), in accordance with decisions V/8, VI/23 and VII/[…] of the Conference of the Parties to the Basel Convention on the Control of Transboundary Movement of Hazardous Wastes and Their Disposal, I/4, II/10 and III/8 of the Open-ended Working Group of the Basel Convention (OEWG), and INC-6/5 and INC-7/6 of the Intergovernmental Negotiating Committee (INC) for an International Legally Binding Instrument for Persistent Organic Pollutants. The Conference of the Parties to the Stockholm Convention will consider the guidelines in accordance with article 6, paragraph 2, of that Convention. 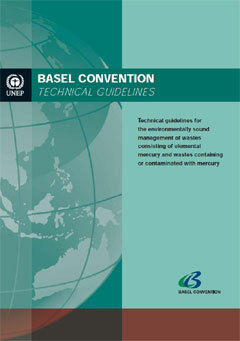 These technical guidelines provide guidance for the environmentally sound management (ESM) of wastes consisting of, containing or contaminated with polychlorinated biphenyls (PCBs) in accordance with decisions V/8, VI/23 and VII/[ ] of the Conference of the Parties to the Basel Convention on the Control of Transboundary Movements of Hazardous Wastes and Their Disposal, decisions OEWG-I/4, OEWG-II/10 and OEWG-III/8 of the Open-ended Working Group of the Basel Convention, and taking into account decisions INC-6/5 and INC-7/6 of the Intergovernmental Negotiating Committee for an International Legally Binding Instrument for Persistent Organic Pollutants. The Conference of the Parties to the Stockholm Convention on Persistent Organic Pollutants will consider these guidelines in accordance with article 6.2 of that convention. Along with PCBs, these technical guidelines address polychlorinated terphenyls (PCTs) and polybrominated biphenyls (PBBs) as a class or category of substances owing to similarities in the physico-chemical and toxicological properties of these substances. Topics addressed include waste management, treatment and disposal. It should be noted that neither PCTs nor PBBs are subject to the Stockholm Convention. Approximately 80% of the weight of car tyres and 75% of truck tyres is rubber compound. Tyres contain about 1.5% by weight of elements or compounds listed in Annex 1 of the Basel Convention. These are encased in the rubber compound or present as an alloying element.